David Jones, MD of Cistermiser and Keraflo, discusses the 2018 heatwave, potential consequences and what it means in terms of the bigger picture of water management and measurement. A summer heatwave has seen Britain’s water supplies run dangerously low in some areas but whether or not we’re heading for a full-blown drought is still up for discussion. More worrying though is the bigger picture. The recent heatwave could become the new norm for UK summers in as little as 20 years’ time. And with the heat comes serious implications. The Environment Audit Committee warns of 7000 heat-related deaths every year in the UK alone by 2050 if action isn’t taken. The risk is particularly high because we have an ageing population in the UK, who in higher temperatures are at increased risk of death from cardiac, kidney and respiratory diseases. Long before the current heatwave, we have been talking to existing and potential clients about the issue of potential water poverty. A combination of significant population growth, the effects of climate change and the need to renew what is often Victorian infrastructure is putting increasing pressure on both the availability and the cost of water. The government seemed to be taking the issue seriously when they called for all homes to be fitted with water meters by 2020, but that deadline has already been extended as other priorities take precedence. 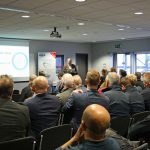 Our two companies Cistermiser and Keraflo are proud members of ‘Made in Britain’ and leading UK intelligent washroom controls and water efficiency specialists. One of the first products we invented is still completely relevant today and highlights the importance of proactive action at times like this. Geoffrey Gestetner, Managing Director of Davidson holdings, our parent group, has reminded me how innovation rises out of times of hardship. In 1977 Alan North, in his plastic injection-moulding business (later to become Cistermiser), came up with an invention to provide a solution following the gruelling 1976 drought. Our hydraulic urinal flushing control valve is a simple mechanism that prevents water wastage by ensuring that an auto-flush cistern is only filled, and can only flush, when the washroom is in use. Using an entirely mechanical technique, it relies on the short-term pressure drop created by the use of taps or WCs to open, otherwise remaining closed. The mechanical basis means that it provides ‘fit and forget’ quality, reliability and maximum convenience for building owners and washroom facility users alike. 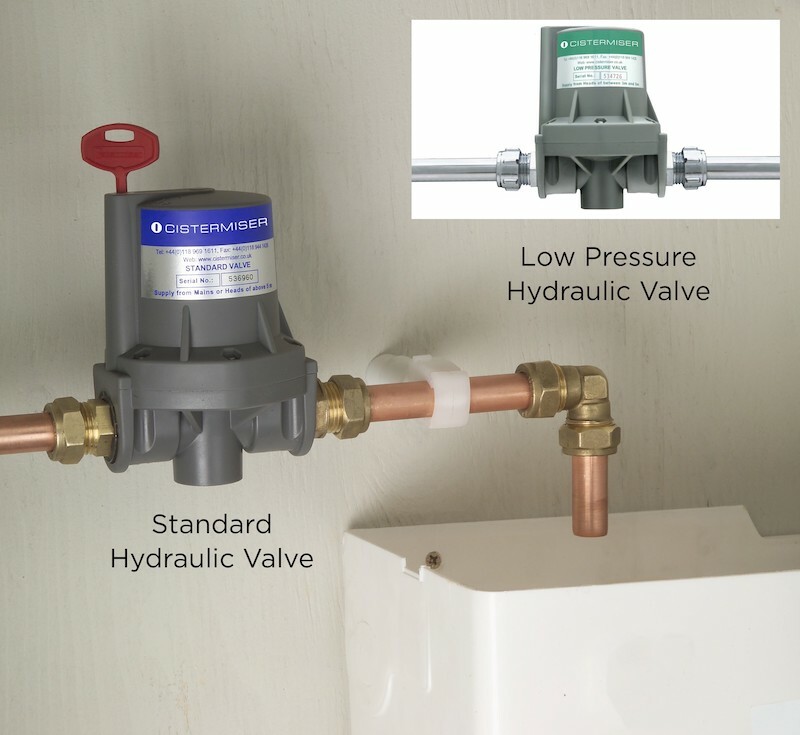 42 years after the 1976 drought, this ingenious Hydraulic valve is still one of our best sellers and a firm favourite with installers (read more at www.ourworldiswater.co.uk). We need to make water management and measurement easy and cost effective across the board. Cistermiser and Keraflo have gone a long way to do just that with our inventive hydraulic urinal flushing control valve, infrared flushing valve and tap products, cold water storage tank management systems and most recently a wireless water temperature and flow monitoring system using the Internet of Things to significantly change the way we manage water. The latter in particular, LinkThru TMU from Cistermiser, harnesses the Internet of Things to monitor water temperatures and ensure Building Owner compliance with HSG274, helping to reduce the risk of Legionella, without the need for manual temperature sampling. This is a process that, when done manually, uses more water and is costly in terms of resources for the facilities’ team. The LinkThru Temperature Monitoring Unit (TMU) fits onto any pipe with an access point, under a sink, in a sluice, or by a boiler and once linked up can take a reading every 10 seconds. Data is sent hourly to a secure portal on ‘the cloud’, offering Facilities Managers close and concise information about the building’s water system and usage, without the strain on resources in every respect. We’ve even developed a new strapline and website domain ‘Our World is Water’ because we think that the issue of water conservation has never been more poignant. As an industry, we increasingly need to raise awareness of water-wastage problems and of course, most importantly, continue to work on the solutions. Cistermiser and Keraflo are committed to this approach. That’s why we have put the emphasis on product development and innovative solutions for the last 35 years and will continue to do just that for the next 35.